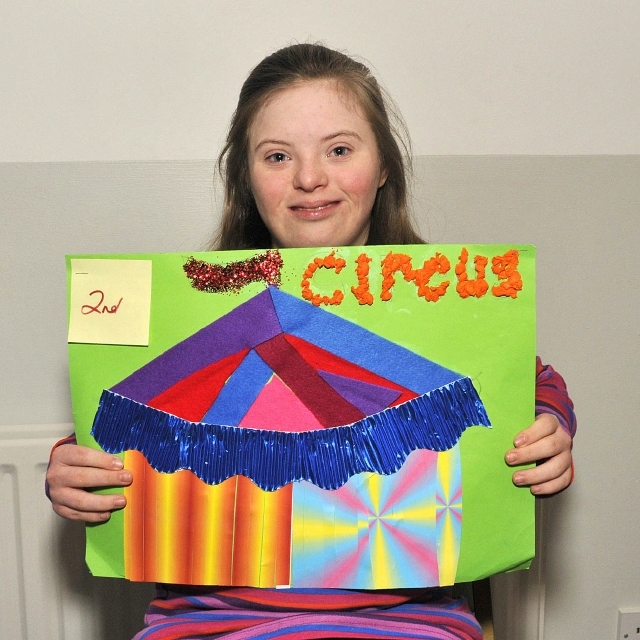 Pictured in Lough Lannagh Castlebar Credit Union Poster competition sponsored by Richard Oliver Brushes local level runner up, Aoife Tigue. Photo © Ken Wright Photography 2013. 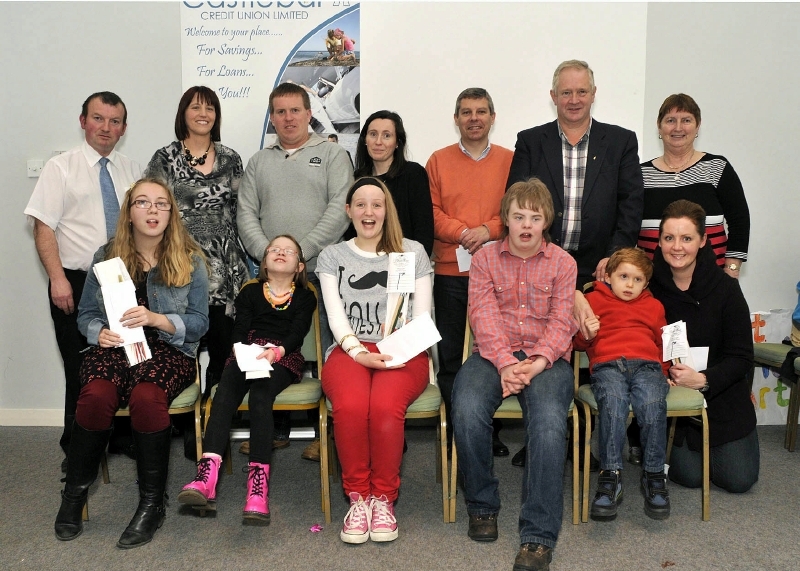 Pictured in Lough Lannagh Castlebar Credit Union Poster competition sponsored by Richard Oliver Brushes local level winners and runners up 18 & over category, front l-r; Laura Ryder, 1st place and Freddie Kelly 2nd place. 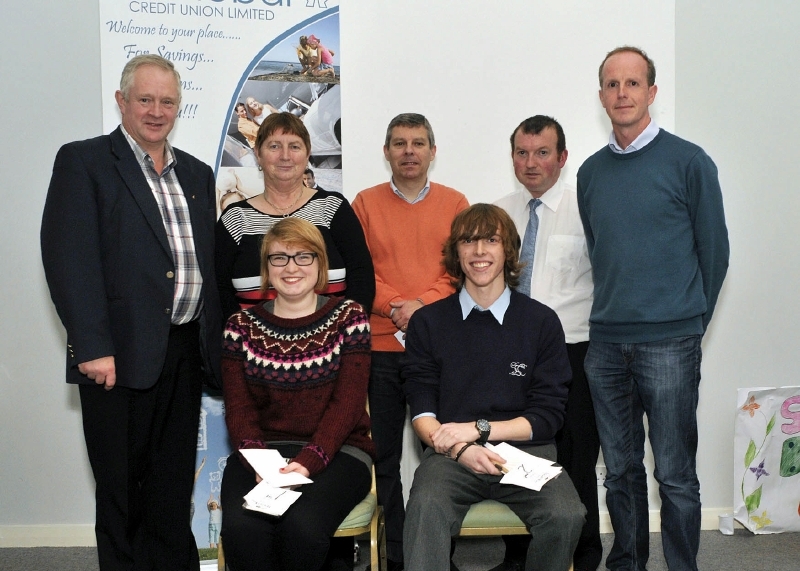 Back, James McLoughlin, representing sponsor and members of the Credit Union Education Committee – Myra McGuiness, Stephen Blendell, John King, and Ger Minogue. Photo © Ken Wright Photography 2013. 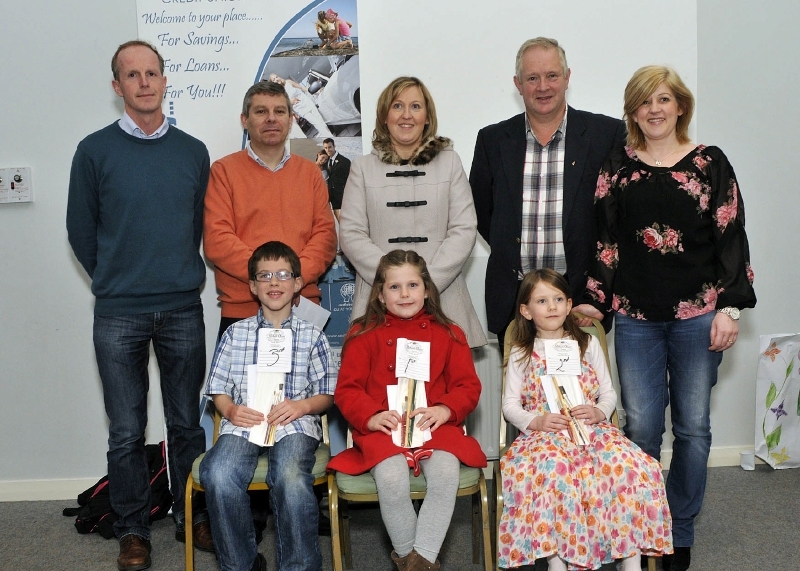 Pictured in Lough Lannagh Castlebar Credit Union Poster competition sponsored by Richard Oliver Brushes local level winners and runners up front l-r; Seán Rabette, 3rd place 7 & under, Ella Fallon, 1st place 7 & under and Sophia Garvin, 2nd place 7 & under..Back, Members of the Credit Union Education Committee – Ger Minogue and Stephen Blendell with parents and James McLoughlin, representing sponsor. Photo © Ken Wright Photography 2013. Pictured in Lough Lannagh Castlebar Credit Union Poster competition sponsored by Richard Oliver Brushes local level winners and runners up 11-13 years category front l-r; Katie Gavin, 2nd place, Lana Murray, 1st place, Rory Smith, 3rd place Back, James McLoughlin, representing sponsor with members of the Credit Union Education Committee – Ger Minogue and Stephen Blendell and parents. Photo © Ken Wright Photography 2013. Pictured in Lough Lannagh Castlebar Credit Union Poster competition sponsored by Richard Oliver Brushes local level winners and runners up 8-10 years category front l-r; Hannah Hughes, 3rd place, Emma Kelly, 2nd place and Oran Mulchrone-Cresham 1st place. Back, Members of the Credit Union Education Committee – John King and Stephen Blendell with parents and James McLoughlin, representing sponsor. Photo © Ken Wright Photography 2013. 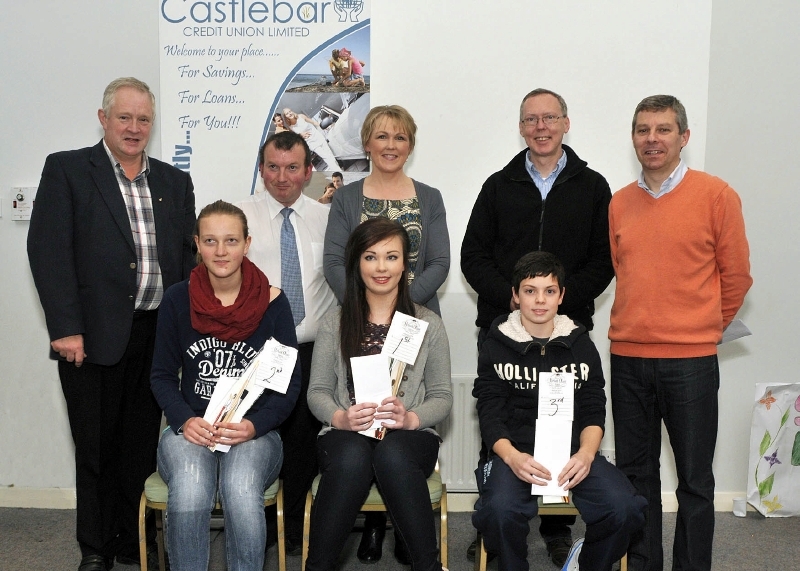 Pictured in Lough Lannagh Castlebar Credit Union Poster competition sponsored by Richard Oliver Brushes local level winners and runners up 14-17 years category front l-r; Martje Hänsch 2nd place, place, Chloe O’Brien, 1st place and Jack Harte 3rd place. 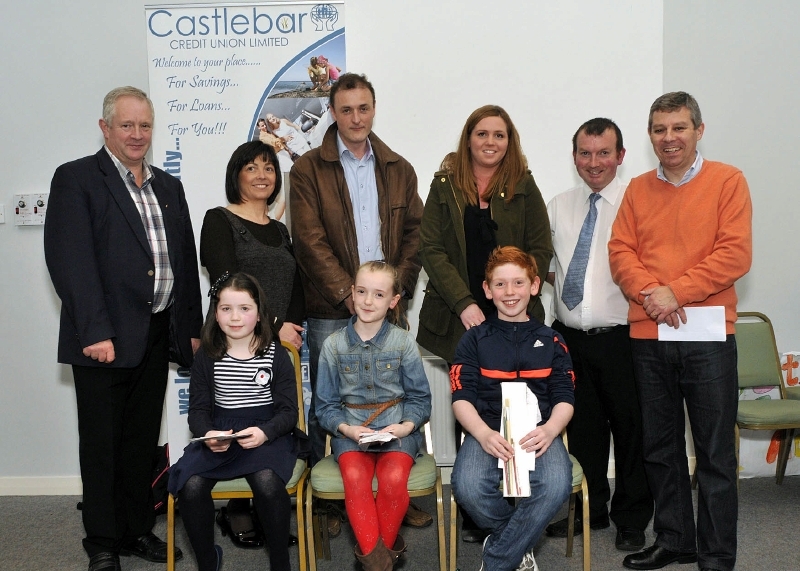 Back, Stephen Blendell Credit Union with parents and James McLoughlin, representing sponsor. Photo © Ken Wright Photography 2013. 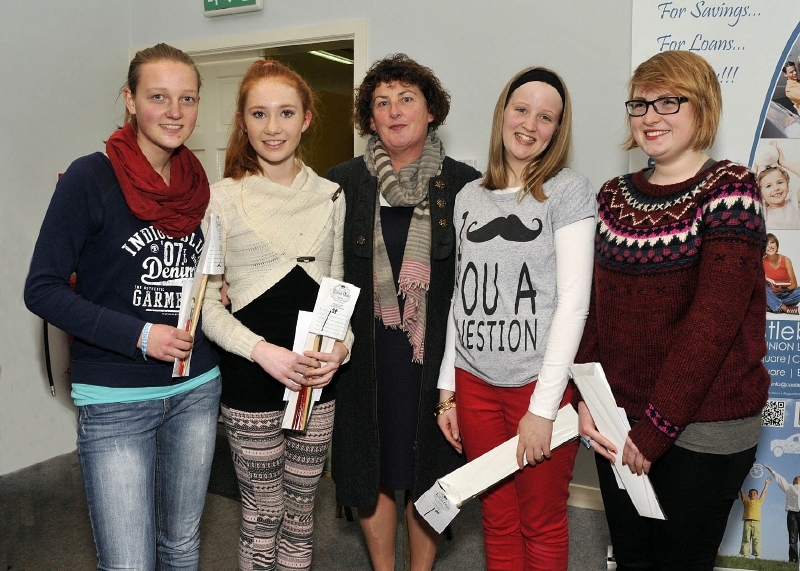 Pictured in Lough Lannagh Castlebar Credit Union Poster competition sponsored by Richard Oliver Brushes local level winners and runners up, students from St. Joseph’s Secondary School Castlebar with Marie McCabe Principal l-r; Martje Hänsch, Lana Murray, Aoibheann Wright and Laura Ryder. Photo © Ken Wright Photography 2013. 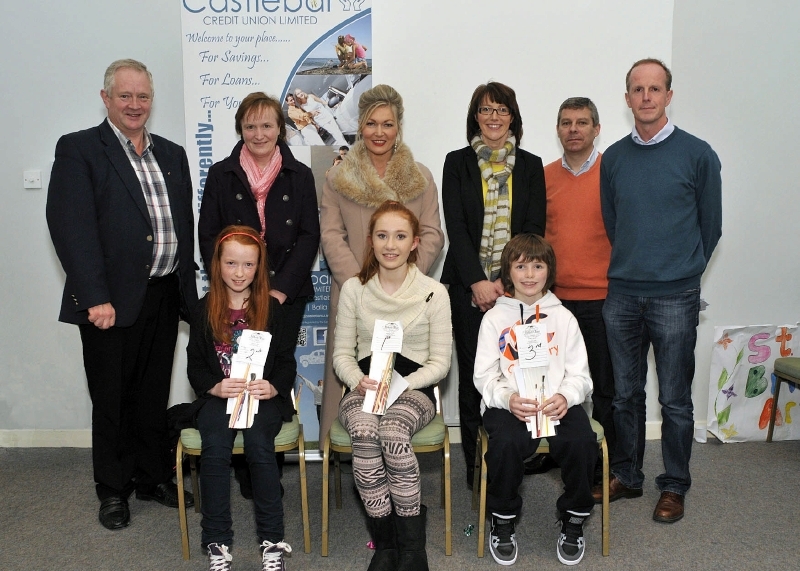 Pictured in Lough Lannagh Castlebar Credit Union Poster competition sponsored by Richard Oliver Brushes local level winners and runners up special category, front l-r; Leanne Biffin, 1st place 18 & over, Rachel Davitt, 2nd place 8-10years, Aoibheann Wright, 1st place 11-13 years, Seán Carney, 2nd place 11-13 years, Dylan Mulchrone, 1st place 7 & under and Mairead Mulchrone Credit Union. Back, Members of the Credit Union Education Committee – John King, Stephen Blendell and Myra McGuiness with parents and James McLoughlin, representing sponsor. Photo © Ken Wright Photography 2013.